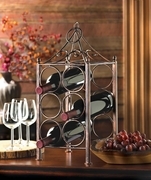 Circle Corral Wine Holder . 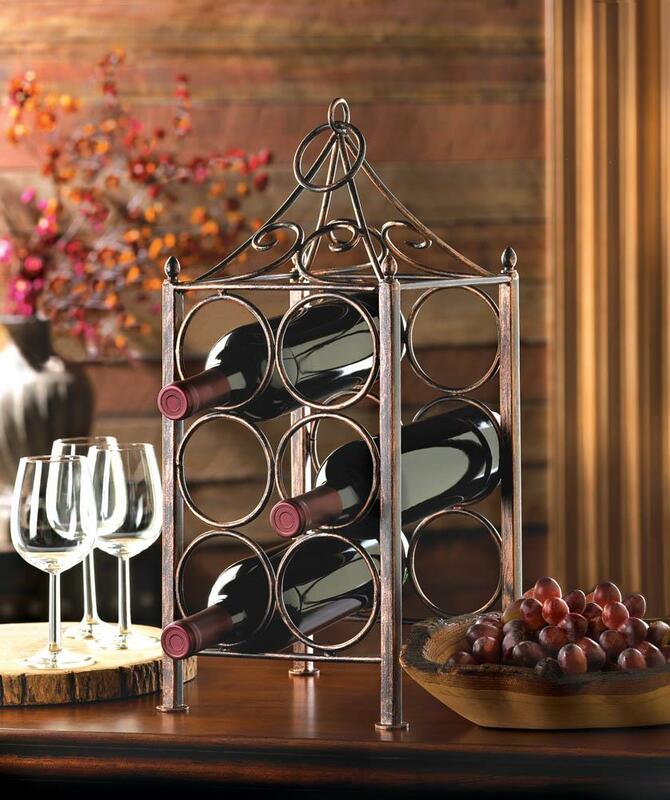 Keep your fresh bottles of wine handy while dressing up your countertop or bar with an artistic touch. 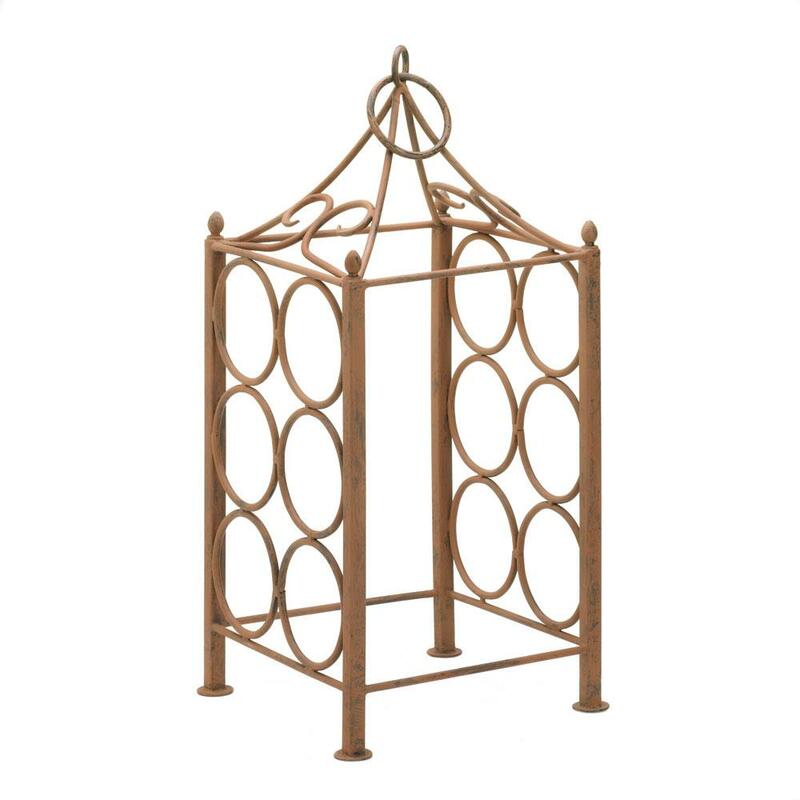 This stunning pavilion-style metal stand features a rustic antiqued finish and holds up to six bottles of wine horizontally. Iron. 8.5" x 8.5" x 18.5"